We provide Excellence Web Designing Services, at worth Price. We are web design solutions providing company based in Haridwar, Uttrakhand, India. We design beautiful, professional and search engine friendly website for any individual and industry. We design complete website which fulfills the needs of the user as well as achieving its business objectives. We are totally business-focused, so we know how important your web presence is to your orga nization, whether it’s commercial or not-for-profit. We offer all the latest approaches for the website designing in order to get more profits to the startups. We take the time to understand your business and create a strategy to fulfill your commercial objectives. Our team of truly talented professionals focuses on creating a strong and appealing brand online. Using the new innovations in technology and combining them with the creativity of our artists, we create a niche for you through brilliant designs, imagery and animation features. It is a standard website useful For Small Businesses and Individuals. Normally it contains 5-10 pages. Once website design finalized by clients, such websites can be designed in 24 hours. Its average price is ₹ 6,000 only. It is useful For Medium Sized Businesses. Besides Basic website features, it includes Graphic Design, Branding, Logo Design, Brochures and Stationary Design. Normally it contains 5 – 15 pages. Such websites can be designed in a week. Its average price is around ₹ 9,000 to ₹ 12,000 only. It is useful For businesses that sell multiple products online. Apart from all advance website design features, it includes Custom Web Page Designs, Image Slider, Shop Customization (Multilingual, Multi Currency), Shopping Cart, Payment Gateway integration. Normally it contains 5 – 15 pages. Such websites can be designed in a month. It costs you around ₹ 20,000 to ₹ 35,000 only. However, price of an e-Commerce website may increase according to the actual requirements of client. Flat 10% Discount when paying 100% upfront on a full project. Use Coupe “FULLPAY”. Terms– Standard terms are 50% to book a project and 50% on completion. Most projects take 1-4 weeks depending on complexity of the website. Prices are given as a guide and are subject to change at any time. If you want a clear price for your project simply request a quote. Q. SEO Enabled Design? Answer. Yes. We design and build websites to perform well in search engines by building each page around a different search term (keyword). 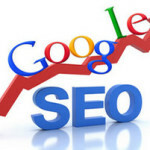 We apply a number of SEO tools such as a comprehensive website audit, keyword searched, and link strategy to co‑ordination; all of which help to keep your website search engine friendly. 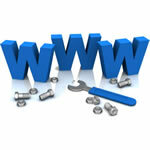 We also provide free but professional website hosting solution to our clients. The standard hosting package will provide clients their space on a shared server with web facilities such as 1 GB of web space, a 10 GB transfer limit and 10 mailboxes in addition to advanced features for task processing. Clients will be provided FTP details to access their web space. For other web-space related services like email creations, Database creation etc, clients are required to contact us through Support System. These free hosting facilities can be improved as per website and client requirement.